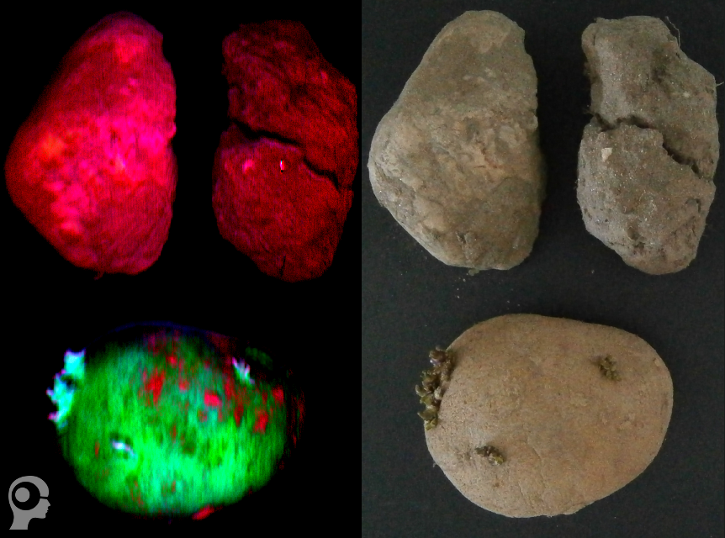 Using a hyperspectral camera and applying Chemical Color Imaging by a Perception System, shows the possibility of differentiation between potatoes, stones and clods of soil based on its chemical information. To detect clods of soil and stones between potatoes is often requested for harvesting and loading processes but also for intake control at factories. Such a measurment setup can be implemented into a sorting machine but also directly on a harvester. This measurement was made with VNIR hyperspectral camera system.